Koh Samui is one of Thailand’s most famous islands and attracts millions of tourists from the around the world each year. Most visitors tend to spend their time either relaxing on the beach, partying or enjoying the relaxation. Fewer take the time to leave their Koh Samui beachfront villas and explore the island in the way the locals do. 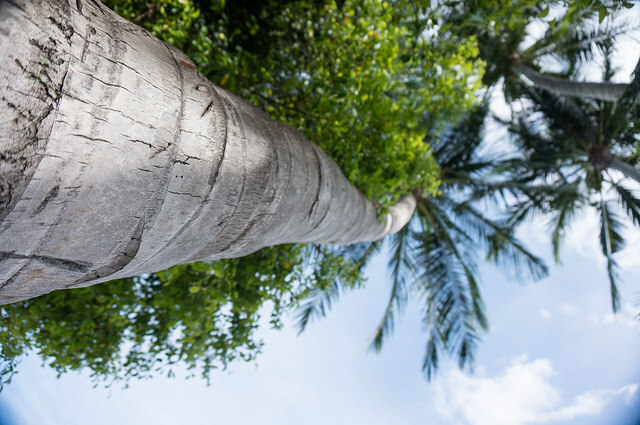 Here are a few tips on how to get more out of your trip to Koh Samui and have a different experience on the island. Before we jump into the details of having a local experience, it’s worth mentioning your accommodation. Domestic tourists make the most of the affordable luxury rentals around the beach and you should too. What can be better than opening your eyes and waking up in a comfortable vacation rental or resort with views overlooking the beach and sea? Koh Samui is home to several types of accommodation offering this level of luxury at an affordable price. Beachside properties are available for a fracture of the rate found in the Caribbean and other parts of the world. The northern and eastern parts of Koh Samui have passed through a series of development and commercialisation over the last few decades. Expect high-end resorts, world-class restaurants and pretty much anything else a tourist could ever imagine. It’s all there. But, this doesn’t really give you the experience of being on a small Thai island. Everything kind of feels the same as other touristy parts of the world, but just in a different environment. Those who want to get off the beaten path and experience more of what this island offers regarding a more cultural and local experience should check out the southern and western regions instead. Locals still live in villages and the area hasn’t fallen victim to mass development. You can walk around and get a glimpse into the island life, and many still fish for a living. 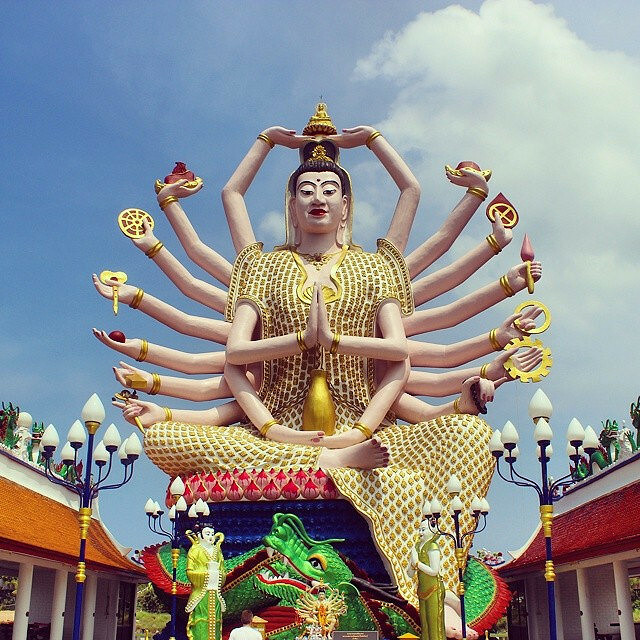 Plai Laem Temple, or locally called Wat Plai Laem, is one of the best temples in Koh Samui. Located in the northeast part of the island near Big Buddha, this temple has an eclectic fusion of Chinese and Thai influences. The temple has beautiful architecture and a Goddess of Mercy and Compassion statue outside. Locals come to worship and make offers on a regular basis. A large lake surrounds the temple and is full of fish. This provides the perfect setting of serenity for a temple and is one of the highlights of visiting. If you make a donation, the staff will give you food to feed the fish. Some tourists like to relax in the gardens for a while after seeing the temple to soak up some of the positive vibes. Mae Nam Village, on the northern part of Koh Samui, gets fewer tourists. The small village typically closes down, and the residents are fast asleep by 10.00pm. Beaches get very few visitors too. However, this doesn’t mean that the village is all doom and gloom. It’s one of the easiest ways to get off the beaten path and experience a little more of the Thai way of life. Explore and visit some of the temples in the village that rarely see tourists and eat at the local restaurants. Mae Nam Beach is also worth spending a few hours if you want to escape the crowds and have a few hours in relative seclusion. A European may consider a good night out to be in the late night bars or nightclubs, Thai’s like to enjoy themselves by singing karaoke. Karaoke bars line the streets of Koh Samui and attract large numbers of local crowds to sing at full volume to their heart’s content. A trip here, especially if you’re with Thai friends, is a great way to see how the locals like to enjoy themselves. 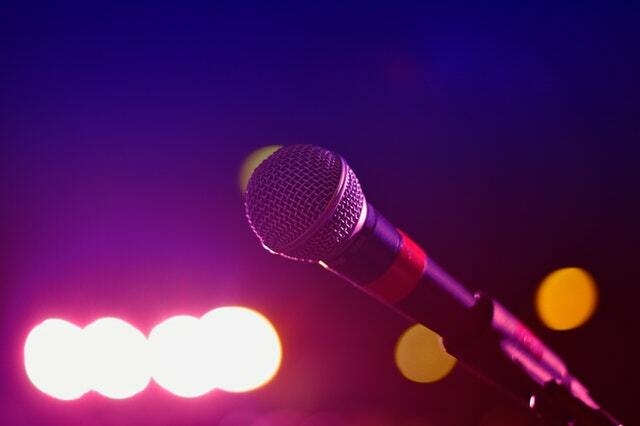 Many of the karaoke bars have a mixture of both English and Thai songs, and it makes for a perfect evening to do and experience something different. There are quite a few waterfalls around Koh Samui of which some are more easily accessible than others. Na Muang Waterfall 1 and 2 are two of the most popular and involve a short trek along trails into the jungle. The first has a large pool at the bottom attracting swimmers looking for a refreshing dip. Local families often come here for a day trip and to have a picnic in the serene surroundings. You can also visit either Hin Lad Waterfall or Wanorn Waterfall if you want to be more adventurous. Both get very few tourists and are worth the effort if you want privacy. A quick word of warning about visiting waterfalls in Koh Samui. The dry season (typically between December and February) sees the water almost completely dry up. This means if you do visit, you’re not going to see lots of water gushing over the edge. Likewise, the rainy season makes reaching the locations more treacherous. Just be aware of what to expect depending on the season that you’re visiting. Just because you’re on a touristy island, it doesn’t mean you have to spend all your time doing touristy things. Rather than sitting on the beach or in the bars all day, check out the temples, waterfalls and visit Mae Nam Village instead. And be sure to explore the non-touristy southern and western parts of the island too. (This post contains a sponsored link).